It is Fall again, and that means it is apple season. I love making apple recipes such as the Cinnamon Apple Pie Bread Pudding, Apple Cinnamon White Cake, and Apple Cinnamon Oat Crunch Bars. Whatever you call them, they are made with fresh apples. Granny Smith apples are often used in baking, such as apple pies, apple cakes, and apple fritters. This is because they stay firm while cooking and keep that tart taste. 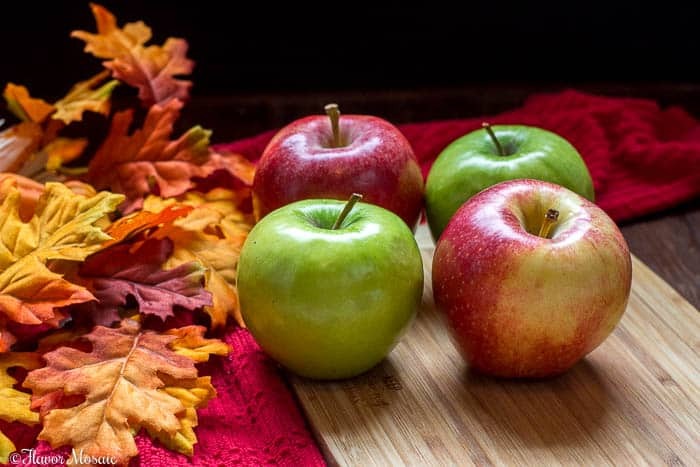 For sweeter apples, try using Honeycrisp apples. 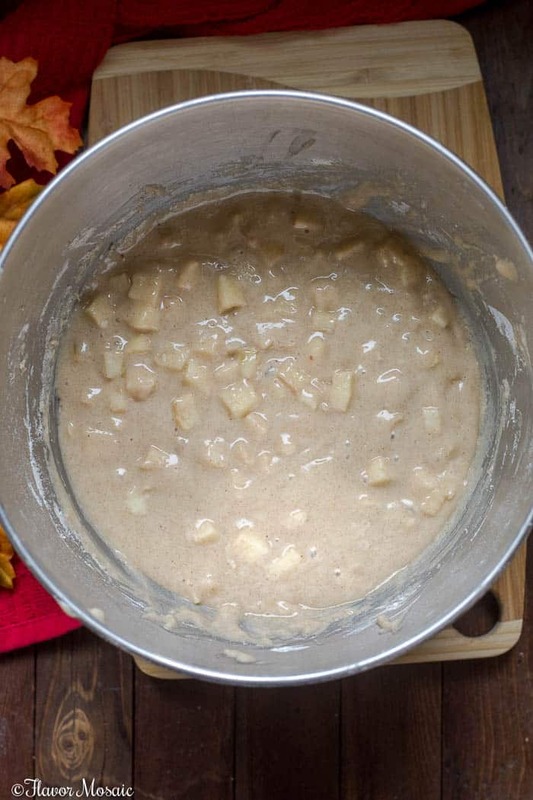 How To Make Apple Fritters? The batter for Apple Fritters and these Apple Fritter Apple Cinnamon Muffins are exactly the same. The only difference is that the Apple Fritters are fried and the Apple Cinnamon Muffins are baked in mini muffin pans. Scroll down to see the printable recipe at the bottom of the post for the detailed instructions with specific amounts. Peel and chop the apples. See above for which type of apples to use. If you have an apple peeler, slicer, corer, this would be a good time to use it. Stir together flour, baking powder, salt, cinnamon, and sugar. In a large measuring cup, add eggs and beat with a fork. In the same measuring cup, mix in milk and vanilla. Add the wet ingredients into the bowl with the dry ingredients and stir until combined. 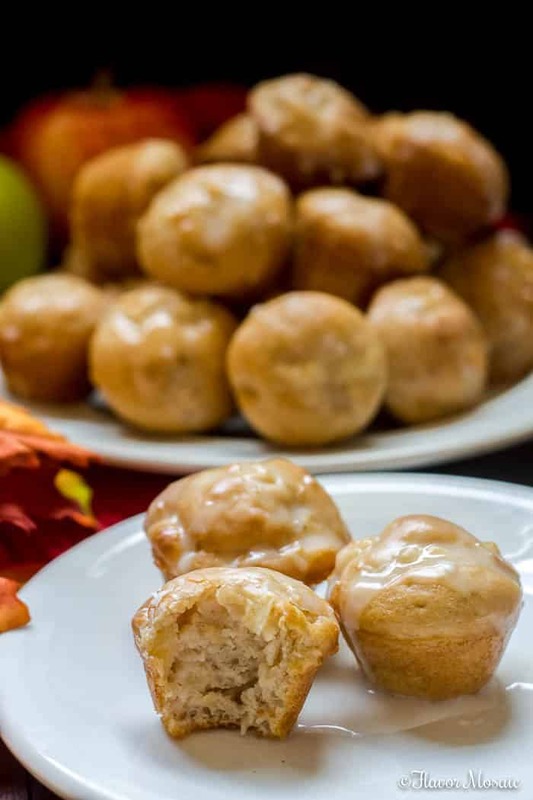 What Is The Difference Between Apple Fritters and Apple Cinnamon Muffins? For Apple Fritters, drop spoonfuls of batter into hot oil. 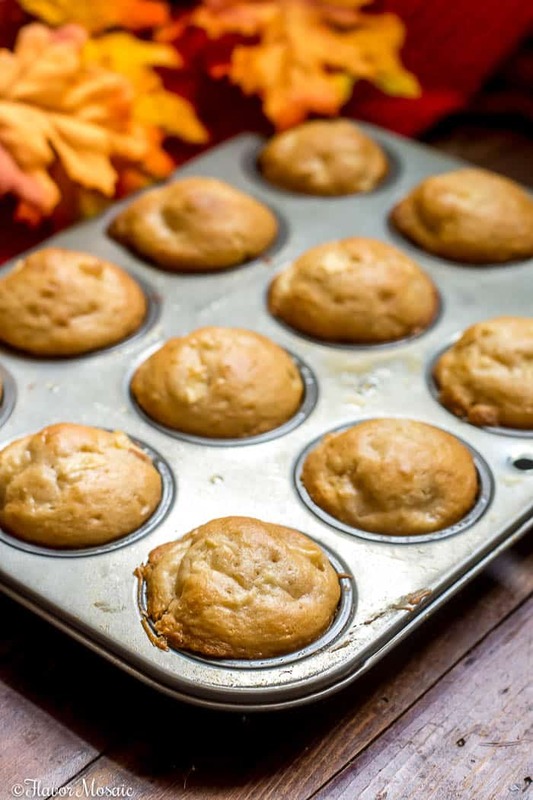 Bake the Apple Fritter Apple Cinnamon Muffins in a preheated oven for about 15 minutes. When you pull the Apple Fritter Apple Cinnamon Muffins out of the oven, let them cool a little bit before drizzling the sweet glaze over the top of them. 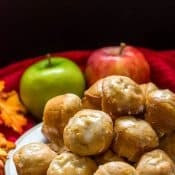 The Apple Fritter Apple Cinnamon Muffins rise and puff up as they cook. While the Apple Fritter Apple Cinnamon Muffins bake in the oven, you can make the sweet glaze to drizzle over the top. To make the glaze, combine powdered sugar, or confectioner’s sugar, in a bowl and add a little milk and stir together until all lumps are gone. 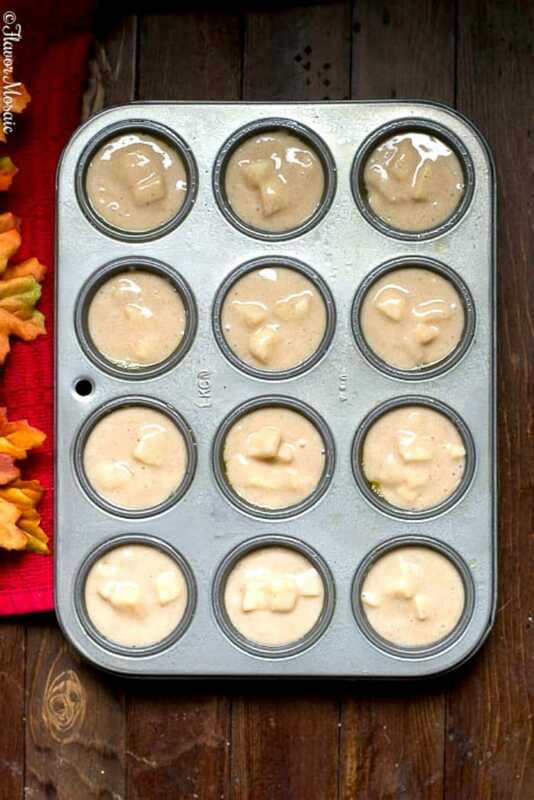 Then drizzle the glaze over the top of the Apple Fritter Apple Cinnamon Muffins. Then the Apple Fritter Apple Cinnamon Muffins are ready to serve. They are delicious for breakfast, brunch, or as a snack. 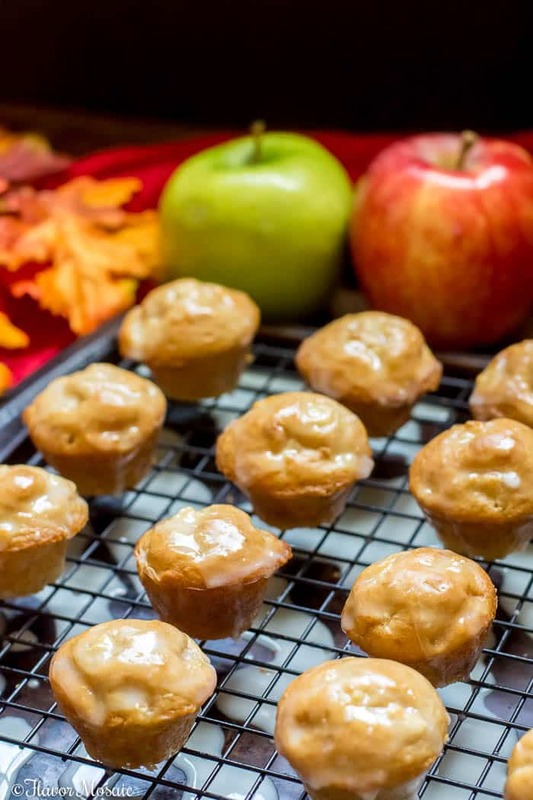 These Apple Fritter Apple Cinnamon Muffins are bursting with apples and cinnamon flavors. However, they are super easy to make. 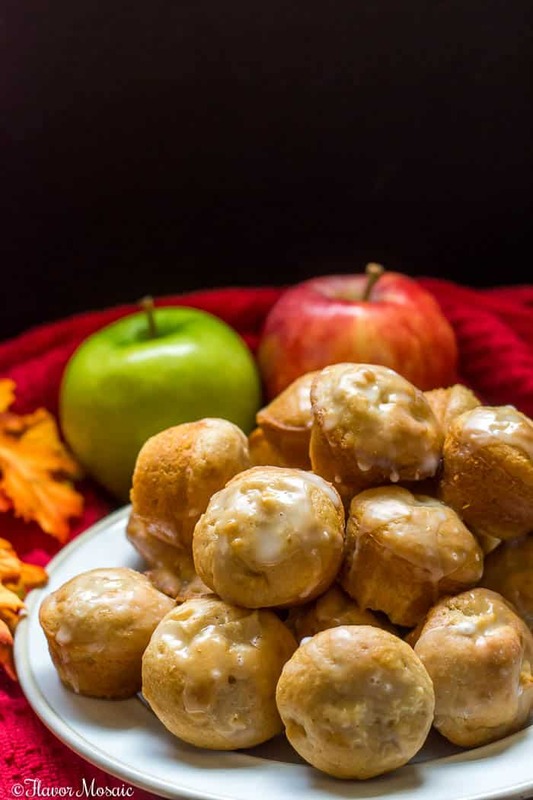 Don’t delay, be sure to pick up some fresh apples next time you are at the grocery store an make these Apple Fritter Apple Cinnamon Muffins for yourself! Be sure to come back and let me know how you liked them. 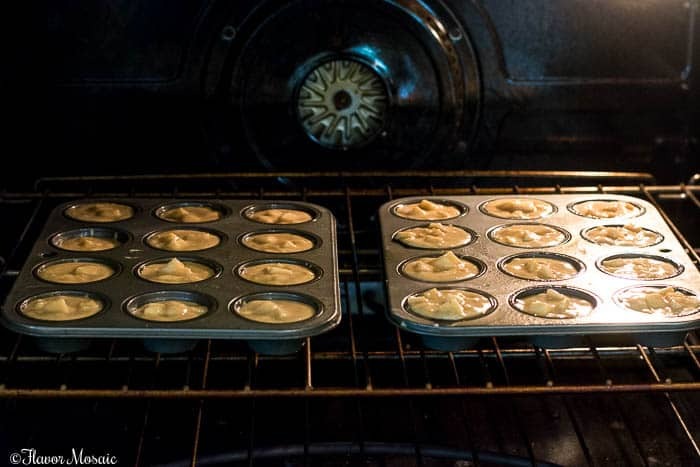 Preheat oven to 350 degrees F. Spray a mini muffin pan with cooking spray. In a large bowl, stir together flour, baking powder, salt, sugar, and cinnamon. In the same measuring cup, pour in the milk and vanilla. Pour the egg and milk mixture into the bowl with the dry ingredients and stir until combined. 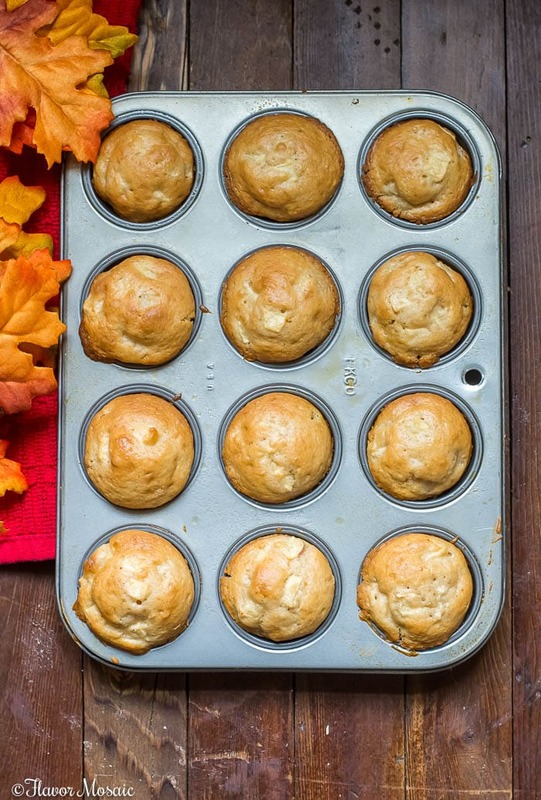 Pour the batter into a mini muffin pan or pans. Makes 24 - 36 muffins. Remove and let cool. Meanwhile, make the glaze. In a medium bowl add powdered sugar and 3 tablespoons of milk. Stir until lumps are removed. May need to add more milk if it is too thick.